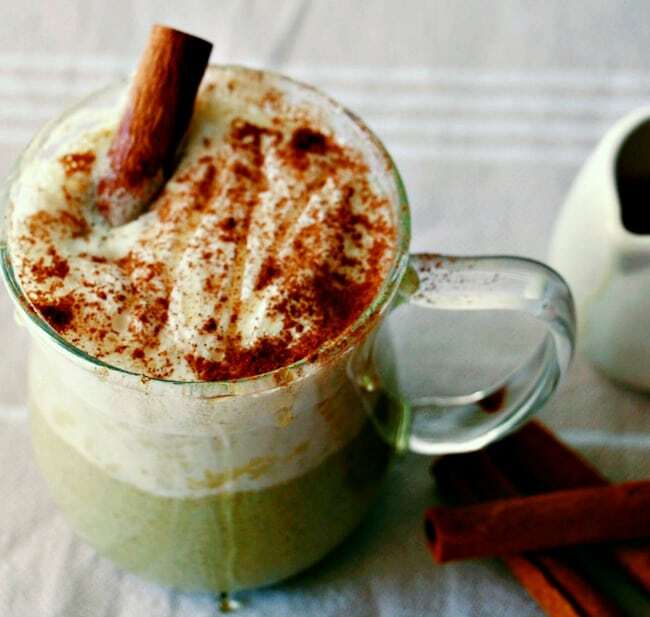 Move over pumpkin spiced latte, this matcha chai spiced latte is so so perfect for the colder weather and is packed full of the goodness of matcha green tea. Needless to say, she was sold! She was super excited and set out immediately to get herself some matcha. 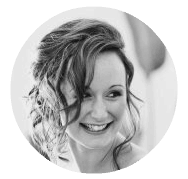 However, living on a tiny island at the bottom of Australia (one that is often left out of maps), and refusing to move with the times and order things online…the search was fruitless. Eventually, when we hit Hawaii for a family reunion months later (for more on Hawaii check out my Ahi Tuna Burgers), she managed to snag the biggest container she could find and lugged it the whole way back to Australia with her. A couple of weeks later, and I find out she still has no idea what to do with the stuff. So! I figured I would provide her with a super simple matcha latte recipe. This is not it. The weather cooled off, everyone started talking about pumpkin spiced lattes, and I got carried away while playing in the kitchen. 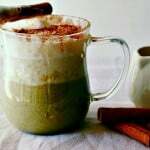 I came up with this amazing Green Tea Chai Spiced Latte, which I can guarantee my mum will hate, but I just had to post it anyway (sorry mum). How Do I Serve Up This Green Tea Latte? Now there are two ways you can use this little recipe. You can add some extra heated milk, a drizzle of honey (or more maple syrup for the vegans), and serve as is (goes well with a rainy night and a blanket on the porch). OR, you can use it as a delicious creamer in your coffee (goes well with a strong coffee and a will to carry on). I have been doing the latter all week, and I am totally hooked. I think the cool kids are calling green tea, chai latte, coffee concoctions Dirty Hippies these days, but that name just doesn’t appeal to me. 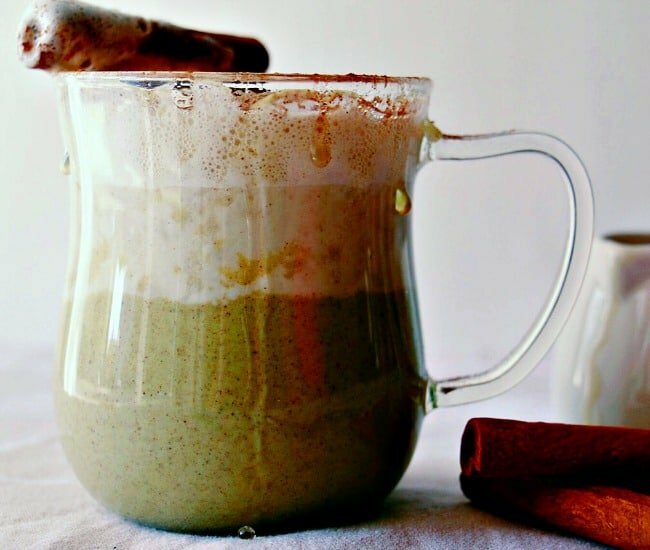 So we will be going to go with the oh-so-sophisticated Green Tea Chai Spiced Latte. Your morning coffee will never be the same! Have you tried a dirty hippy? 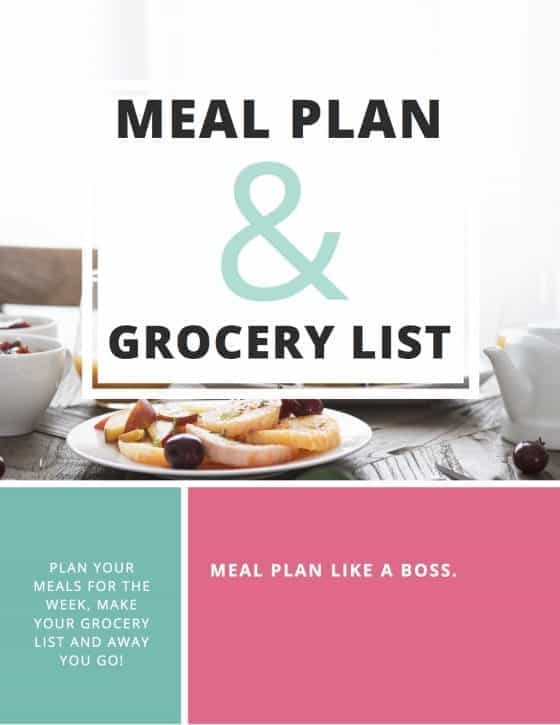 I would love to hear your thoughts, be sure to leave a comment, like on Facebook or pin to Pinterest for later. Happy drinking. looks yummy , i’ll try it soon, thank’s for the recipe! I’ve never had a chai latte before but I have some matcha I need to use up! This looks so comforting! Thanks Taylor, it definitely is a big mug of comfort 🙂 And the matcha tastes so good in there! 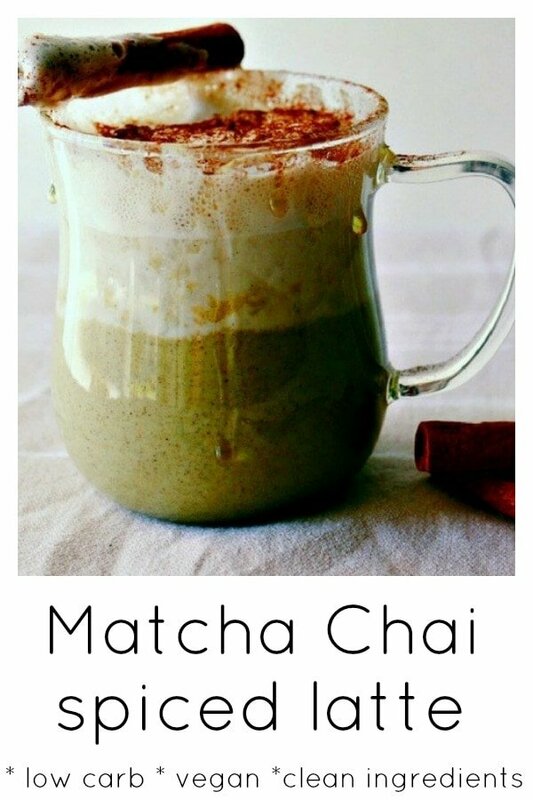 I love Matcha,, lovely recipe and perfect for the winter. 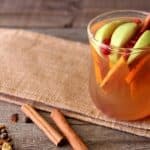 Thanks Helen 🙂 Definitely a comforting winter drink! Where can I find vanilla bean paste? I would gladly exchange my pumpkin spice latte for this beauty! Looks amazing ! 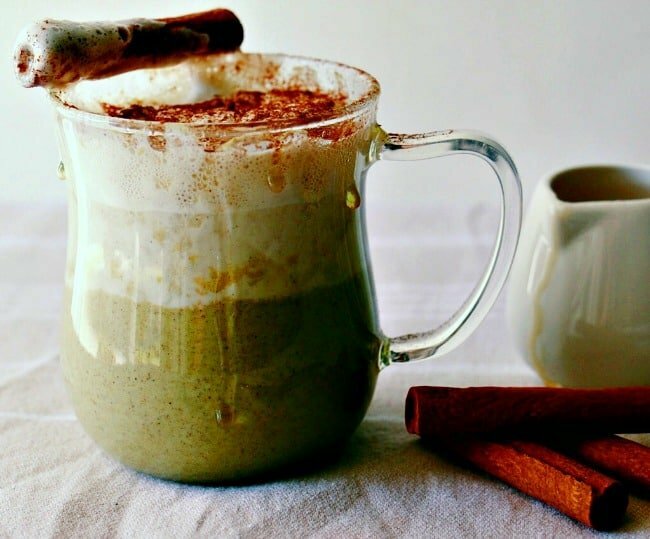 Never heard of green Tea Chai Spiced Latte before! 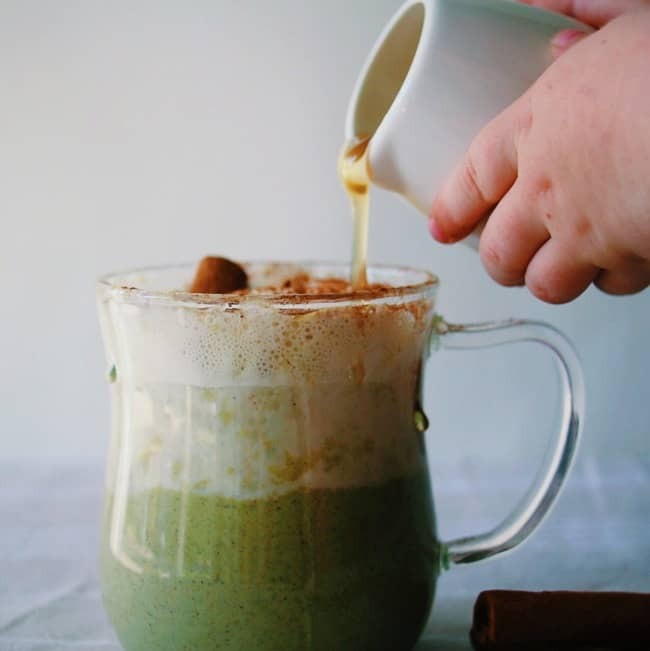 The combination of cashew milk and green tea seems a bit strange but hey, as the saying goes don’t Judge a book by it’s cover….so we’ll have to try this! yes yes yes to Matcha and its benefits. thanks for the recipe! Donna, what a great idea. I love lattes and I love chai tea, so great combination. Must be haelthier than straight coffee. Thanks for sharing. I hope it’s healthier than straight coffee 🙂 It tastes delicious! 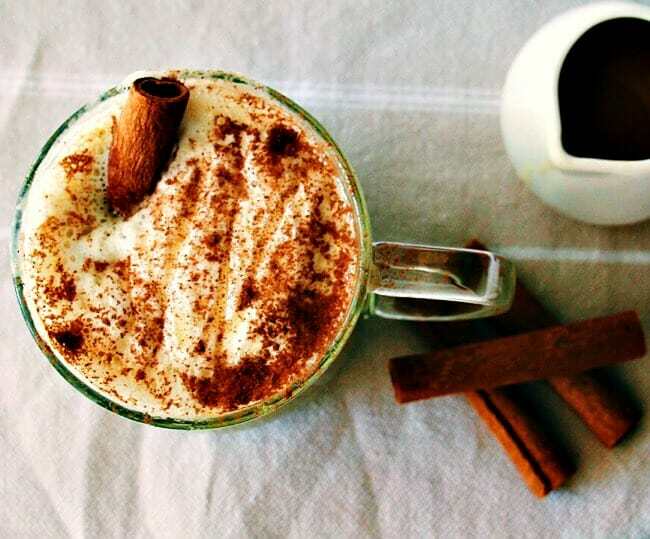 spiced latte looks so delicious. Love the idea of using matcha greentea and maple syrup. 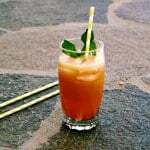 Wow.. what a tea.. just like in the restaurant.. !